I don't know what it is but an armful (or two) of pretty bracelets makes me feel more glamorous than anything in the world. So I decided to make a super easy stack of arm candy with some beads, findings, and of course Aleene's Jewelry and Metal Glue and got after it. I found the perfect beads which just happened to have loops on the back to run string through. That would have been great if I wanted to string them but I wanted to add them flush to a metal cuff. To correct the tiny problem, trip the loops as closely as possible. 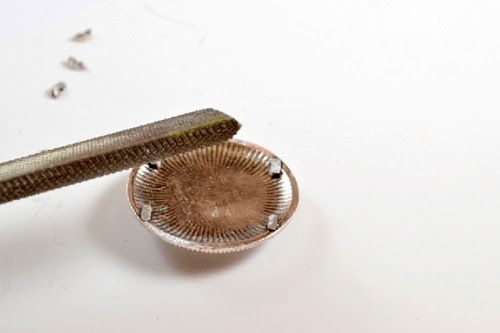 Use your rasp or file to remove as much as possible until the bead or button lays nice and flush on your cuff. 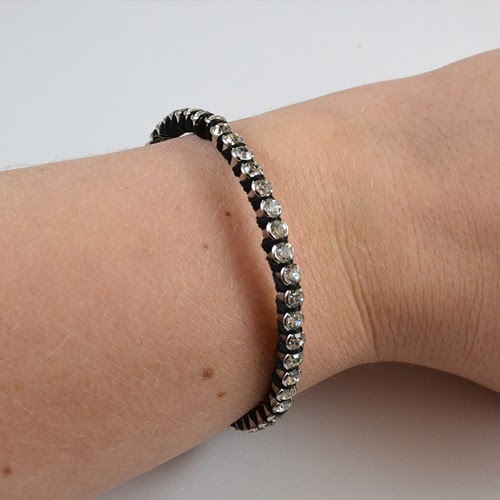 Repeat for as many elements as you need for your bracelet. 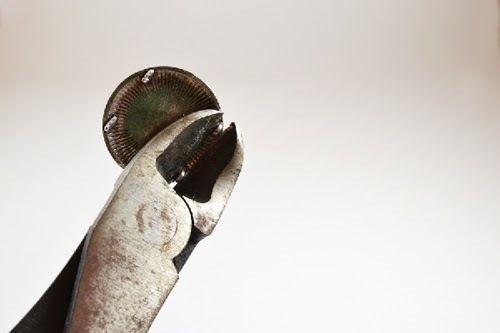 Apply a small dollop of jewelry and metal glue to the backside of your button or bead, or several dollops if the size or shape requires. 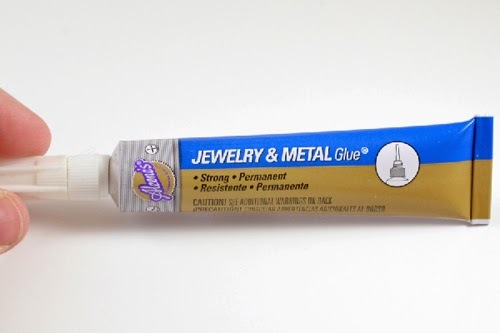 Now this glue means business and I have a tendency to be clumsy or accident prone. And since I've glued myself to one to many things, I use rubber tipped clamps in situations like this. 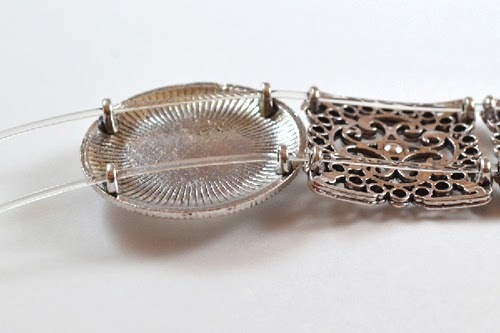 It's just the same as if I held the bead down with my own fingers, but this way I don't have to worry about accidentally securing my hand to my jewelry! 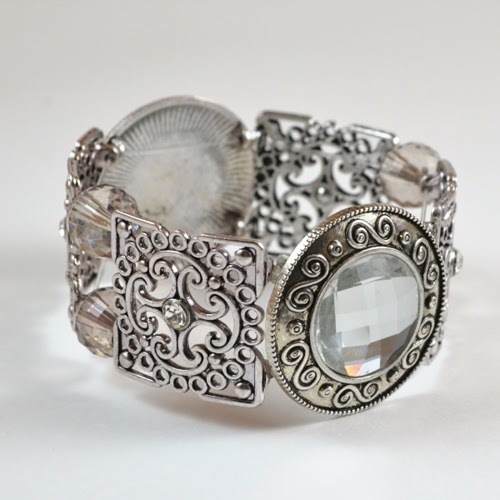 Continue until all pieces are attached as you wish... And your fun cuff is ready to rock! 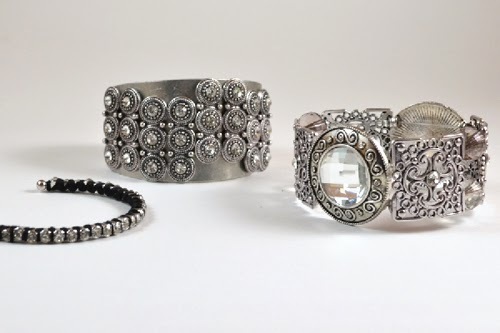 Next we're going to make a fun beaded bracelet to add to the stack. 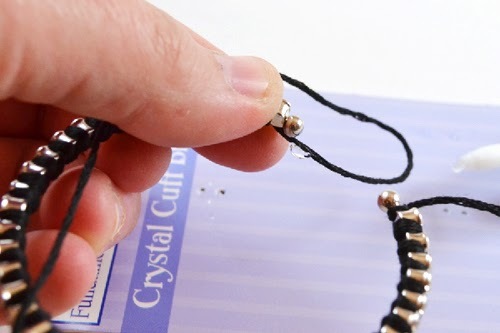 You may need to experiment when stringing your beads for a proper fit. String as you'd like them and if too large, you may need to work out a pattern with a few less beads or if too small a few more. I find spacer beads come in handy for this and always grab something that will work with my primary beads in the event that things don't work out as first planned. Be sure to stretch your cording before you begin so that it doesn't become too large with time! My beads required two cords but that's no big deal. When finished knot the cord 3 times and then apply a healthy dollop of Aleene's Jewelry and Metal Glue to the knot. 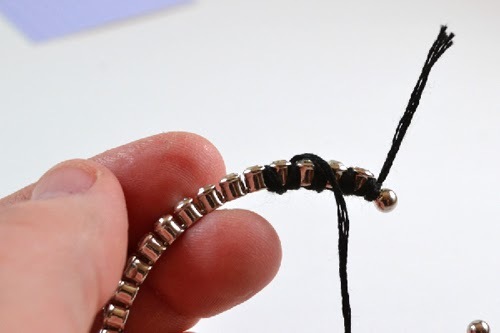 Allow to fully dry and then trim the extra string close to the knot. And this baby is ready to go just like that. 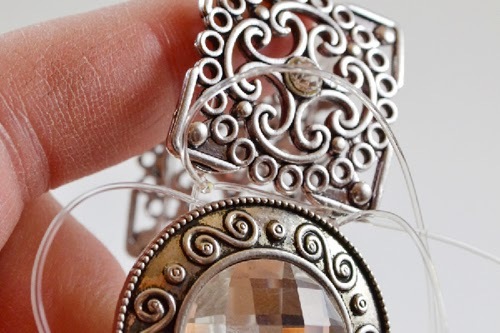 I can't stress enough that the choice of glue can make a huge difference in the longevity of your jewelry and while the glue makes a small appearance in the project, the need for it is great! 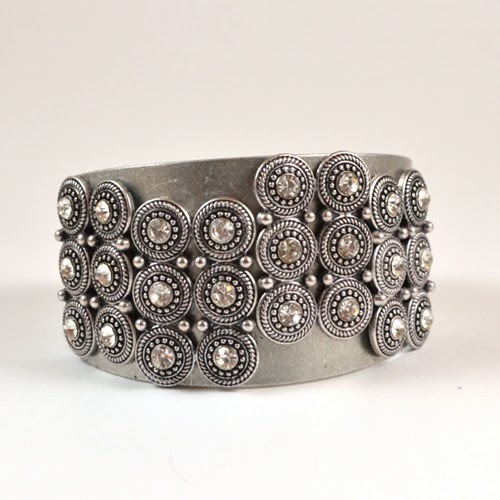 Lastly we're going to knock out a quick and on trend wrapped rhinestone bangle. Tie a knot in your string and begin wrapping around each stone. Pay attention to the number of turns you take on each to keep the look consistent. 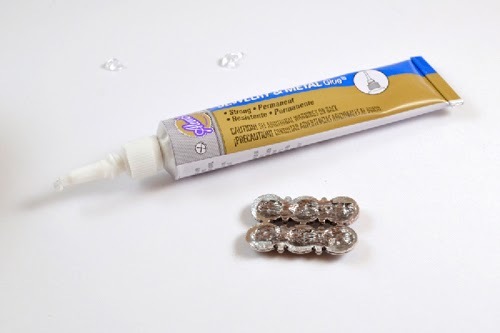 When you get to the end, apply a small amount of Aleene's Jewelry and Metal Glue to the string and wrap at the end to finish. Hold the string taut for a minute or two until the glue sets. Simple, sweet and totally stylish! These are all so easy to create if you just have the right glue on hand. And with the wide variety of beads and buttons available, the options are endless! 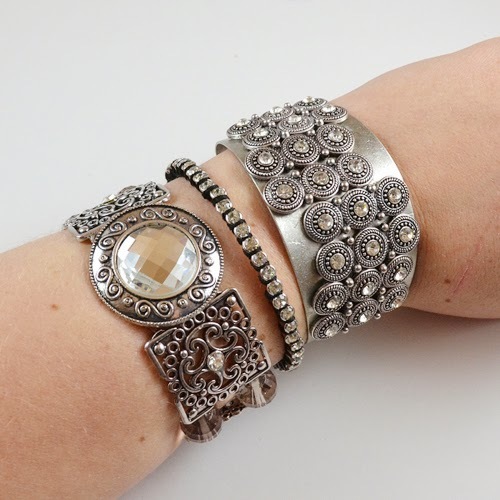 Pay special attention to the metal and stones in your beads to ensure a nice stack of arm candy when paired together. 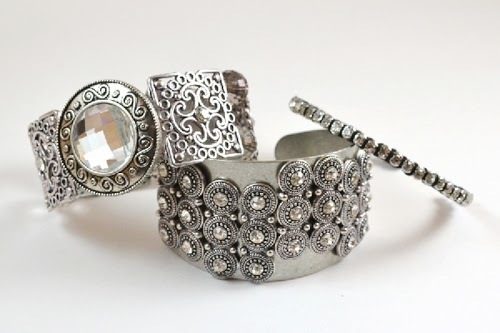 But if you choose, each piece is stunning enough to be worn on its own! For even more simple jewelry projects, visit my blog Dream a Little Bigger. 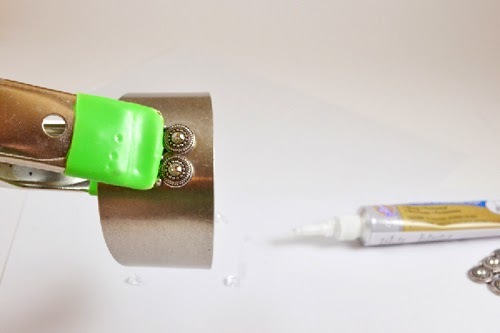 I hope to see you there and thanks so much for checking out easy DIY bling here at iLoveToCreate! Lovely, all of them, and thanks for the great "not glueing them to your fingers" tip.